Emily Ratajkowski wore a Brock Collection Fall 2019 cream lace peplum bustier dress to the 2019 Vanity Fair Oscar party. She styled her look with Jimmy Choo "Minny" heels. Nina Dobrev attended the 2019 Vanity Fair Oscar Party on Sunday (February 24) in Beverly Hills, California. 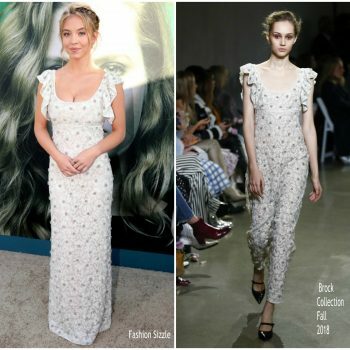 She wore an ivory Brock Collection Fall 2019 peplum gown styled with a Jimmy Choo clutch. Madeline Brewer attended the 2019 Sag Awards on Sunday (January 27) in LA. 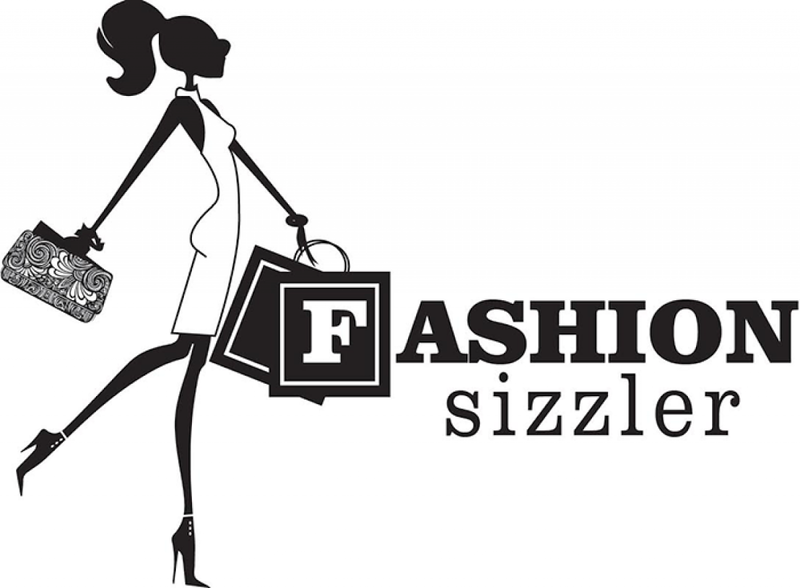 She wore a red and black Brock Collection gown styled with a Sara Weinstock ring and black heels. 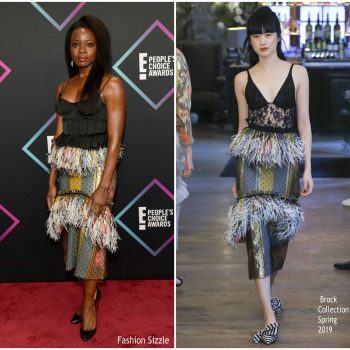 Danai Gurira attended the 2018 People's Choice Awards She is wearing a Brock Collection Spring 2019 design. Toni Garrn was in attendance at CFDA/Vogue Fashion Fund anniversary party on Monday night (November 5) at Brooklyn Navy Yard in Brooklyn, New York. 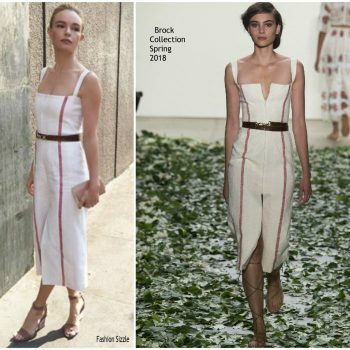 She wore a Brock Collection dress. 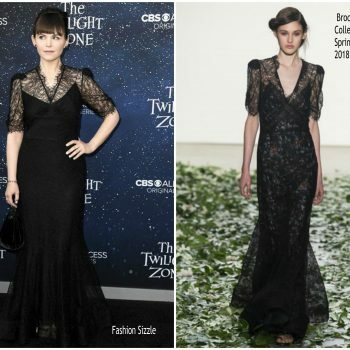 Madeline Brewer wore a Brock Collection Fall 2018 "Diedre" gown to the 2018 Emmy Awards. Rose Byrne celebrated herHamptons Magazine cover on Saturday (July 7) at the Southampton Social Club in Southampton, New York. 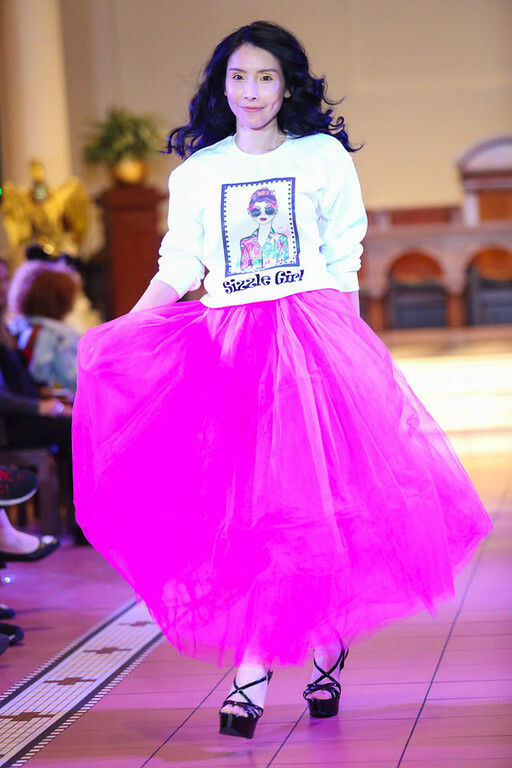 The party was presented by Lalique with the Maddox Gallery. 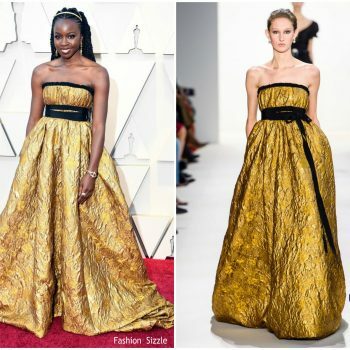 Rose is wearing a Brock Collection dress. 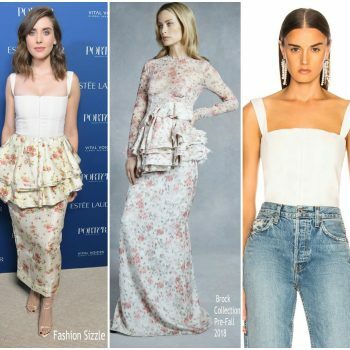 Lili Reinhart was in attendance at the 2018 CFDA Fashion Awards on Monday (June 4) at the Brooklyn Museum in New York City. 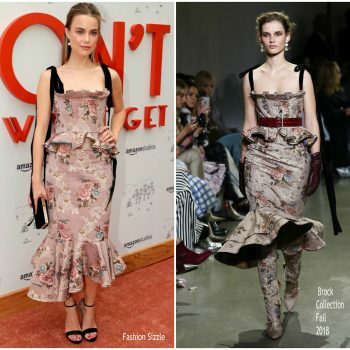 She wore a floral dress Brock Collection Pre -Fall 2018 dress. Gillian Jacobs was in attendance at Netflix’s ‘Ibiza’ New York premiere on Monday (May 21). 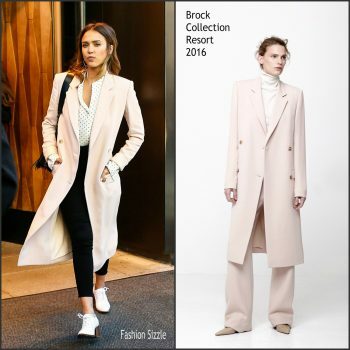 She wore a Brock Collection Pre-Fall 2018 design. Bel Powley attended the ‘Lobby Hero’ Broadway opening night party on Monday (March 26) in New York City. 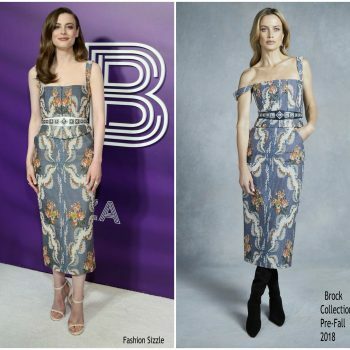 She wore a Brock Collection Fall 2018 dress. Laura Harrier attended the Bvlgari cocktail party during Baselworld 2018 on Wednesday (March 21) in Basel, Switzerland. 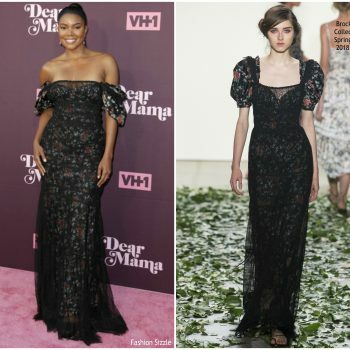 She wore a strapless black velvet Brock Collection gown. Emily Ratajkowsk attended the 2018 Film Independent Spirit Awards on Saturday (March 3) in Santa Monica, California. 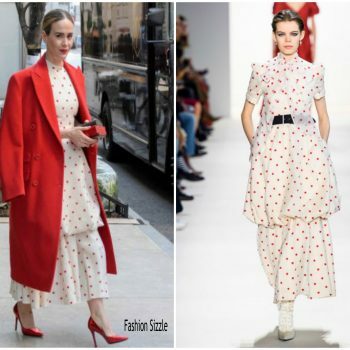 She wore Brock Collection Fall 2018 dress. 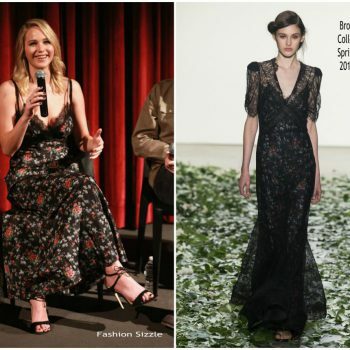 She is wearing a Brock Collection Pre Fall 2018 floral dress. 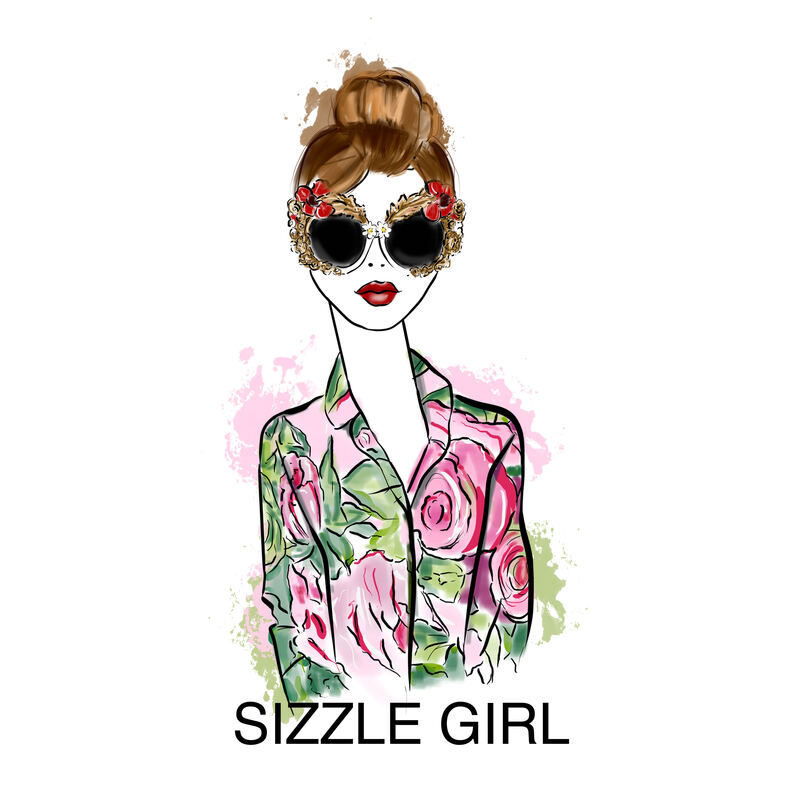 She is wearing a Brock Collection Spring 2018 floral dress. 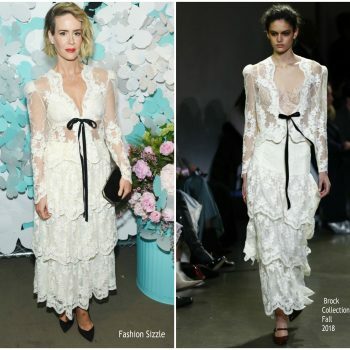 Kate Bosworth was in attendance at the 2018 Critics' Choice Awards She wore a Brock Collection Pre-Fall 2018 "Duma" lace gown. 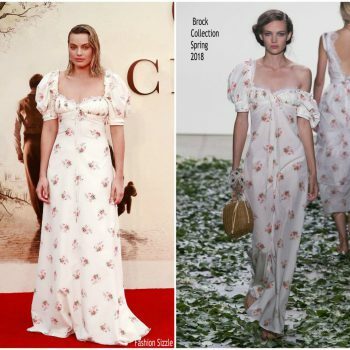 Margot Robbie attended the ‘Goodbye Christopher Robin’ world premiere this evening (September 20) in London. 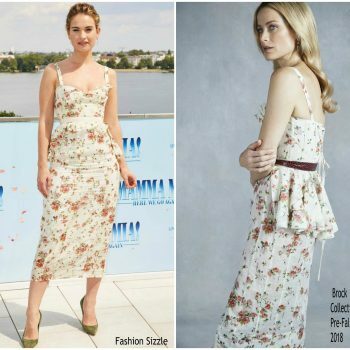 She wore a floral print Brock Collection Spring 2018 ‘Doda’ dress . Kate Bosworth attended the 2017 Palm Springs International Festival of Short Films hosted an Awards Ceremony on Sunday (June 25) in California. 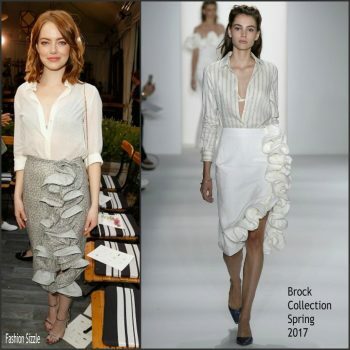 She wore a Brock Collection Resort 2018 dress. Selena Gomez who is the UNICEF Goodwill Ambassador in attendance at WE Day at The Forum in Inglewood, California on Thursday (April 27). 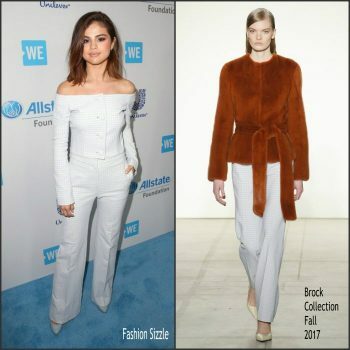 She wore a Brock Collection Fall 2017 two piece suit . Toni Garrn was in attendance at the Fashion2Night Event on board of the MS Europa 2 on August 23 , 206 in Hamburg, Germany. 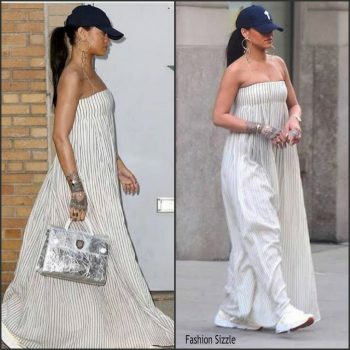 Rihanna was spotted arriving at a photoshoot in Manhattan On May 27th, 2016.